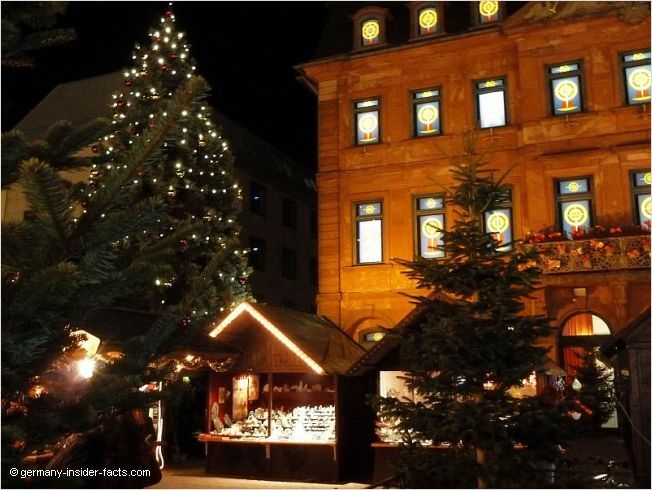 Favourite Christmas traditions in Germany include a visit to one of the various Christmas markets, baking yummy Christmas cookies, and decorating the home with candle arches, twigs and Christmas pyramids. 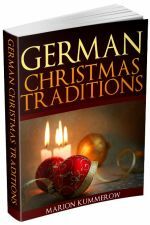 But there are many more traditonal Christmas customs in Germany that make Advent a very special time of the year. Although Christmas (Weihnachten) has become very commercialised since I was a child 50 years ago, the magic of Christmas is hard to deny if you grew up with all the wonderful traditions. Weihnachten has still a deep meaning for us Germans and espcecially for families with children. As soon as the kids open the first window on their Adventskalender, they are held in joyful anticipation. For the Western Christian Churches Advent is the time to wait and prepare for Jesus's birth at Christmas. The first Advent Sunday is also the beginning of the Western Christian Year. Advent in the Eastern and Orthodox Churches is slightly longer, and begins already on 15th November. The first Advent Sunday is the fourth Sunday before Christmas Day (25th December). 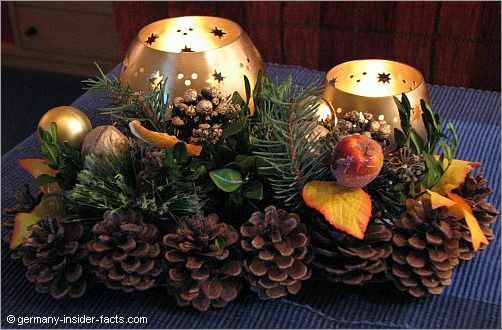 An Adventskranz (advent wreath), usually made of fir twigs, decorated with small stars, ribbons, fir cones and four candles, can be found in nearly every home. 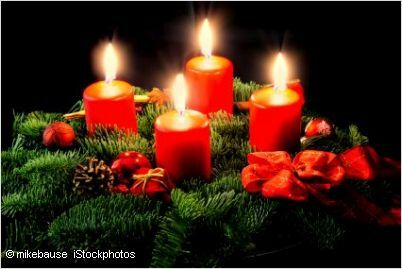 In the first week only one candle is lit, the second follows on the second Advent Sunday, and so on. Advent is the time when houses smell of freshly baked cookies, Stollen and candles. The kids do handicraft Christmas decorations or small presents for the parents. 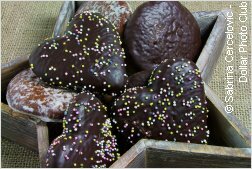 Of course the kids love to help with baking traditional German Christmas cookies, and pinch a few of the fresh goodies. It is also common that children write a letter to the Christkind or the Weihnachtsmann with their wishes for Christmas. 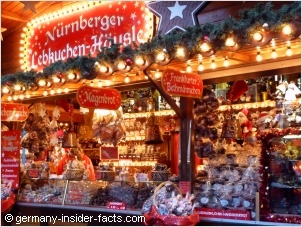 An Adventskalender (advent calendar) also belongs to German Christmas traditions. In former days it was a simple painted cardboard with 24 windows, or doors, to open. Behind each window was a Christmas themed picture. These days, Advent calendars often contain a piece of chocolate, or a small toy, when you open the window. It is also very common to create an individual advent calendar with 24 small packets or stockings containing a little gift. When I was a child, I loved the Adventstunde, it was one of my favourite Christmas traditions in Germany. The family sat around the Adventskranz singing Christmas carols and nibbling homemade Christmas cookies. We kids were always very excited and dreamt about the presents the Christkind (Christ child) hopefully would bring on Christmas Eve (Heiligabend). This is a famous Christmas poem in Germany. Roughly translated it says: Advent, Advent, a light is burning, first one, then two, then three then four, then the Christkind stands at the door. Another old Advent custom is to cut a cherry branch and put it in vase inside the home on December 4th (St. Barbara's Day). The Barbarazweig will usually bloom at Christmas and brings luck for the following year, and a scent of spring in the dark season. Now you are in Christmas mood, aren't you?